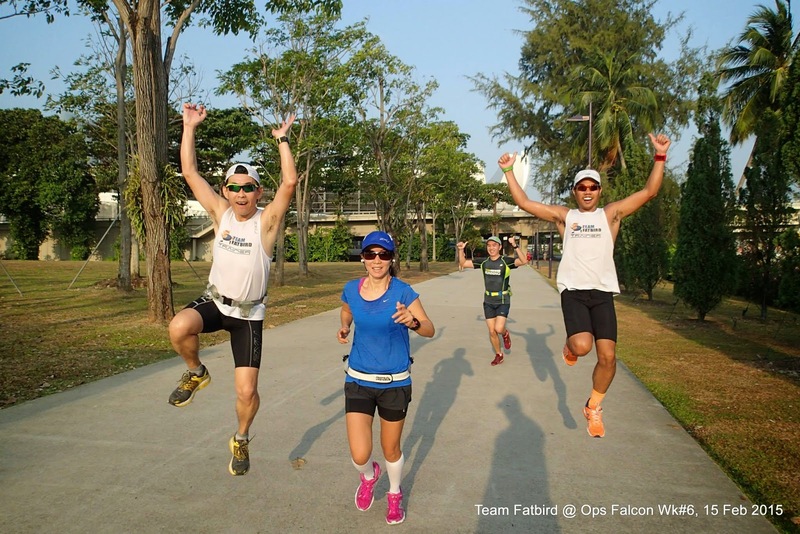 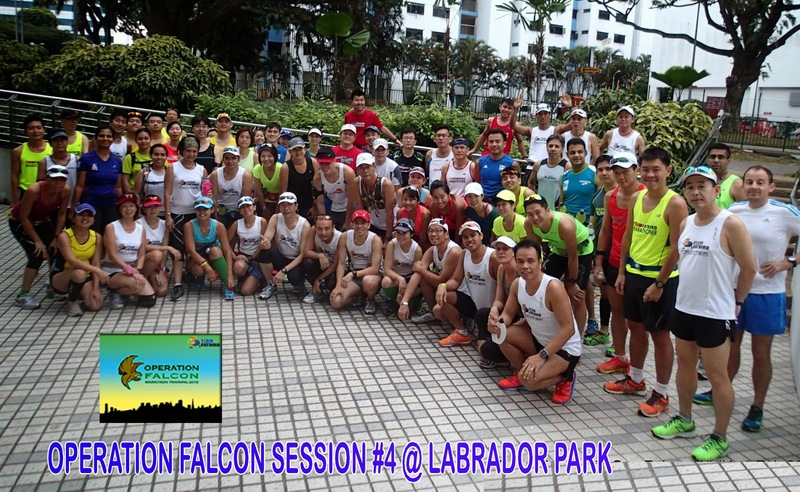 In preparation for the move to Optimal Pace in 2 weeks, the Falcons were given a challenge of maintaining 4.5km loops at Marathon Pace less 10s with 1min-2min rests in between. 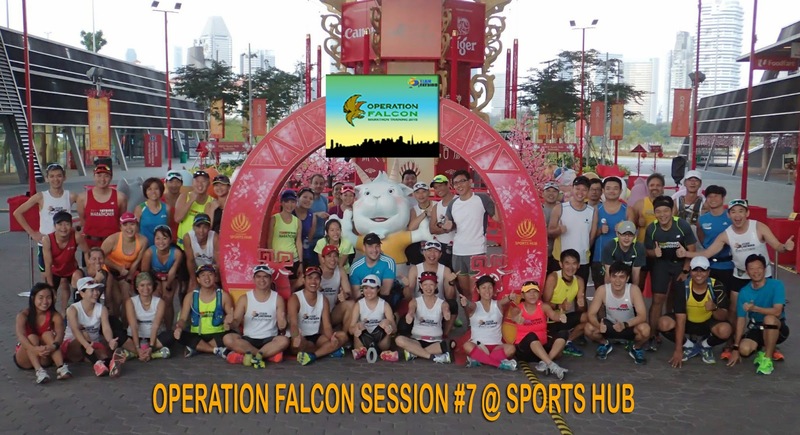 Given the ongoing Lunar New Year Celebrations, the group took an auspicious photo with the Goat, the Zodiac sign for 2015, for a nice kickoff to the second half of Ops Falcon training. 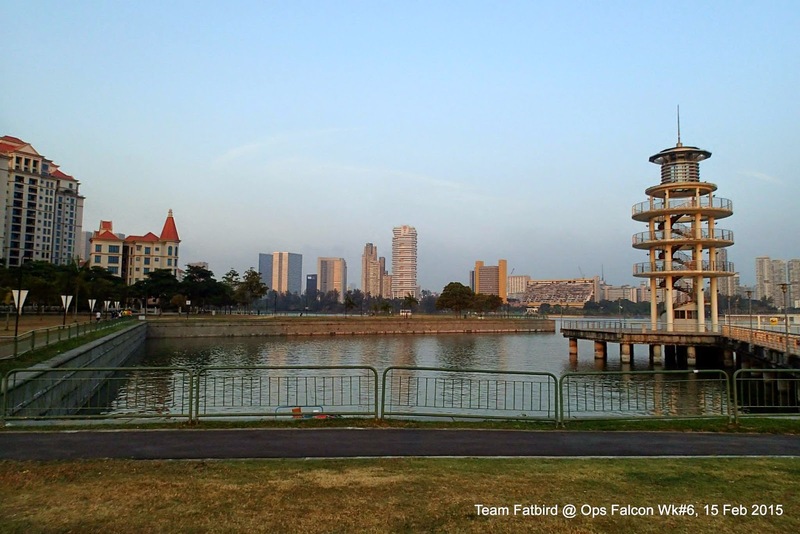 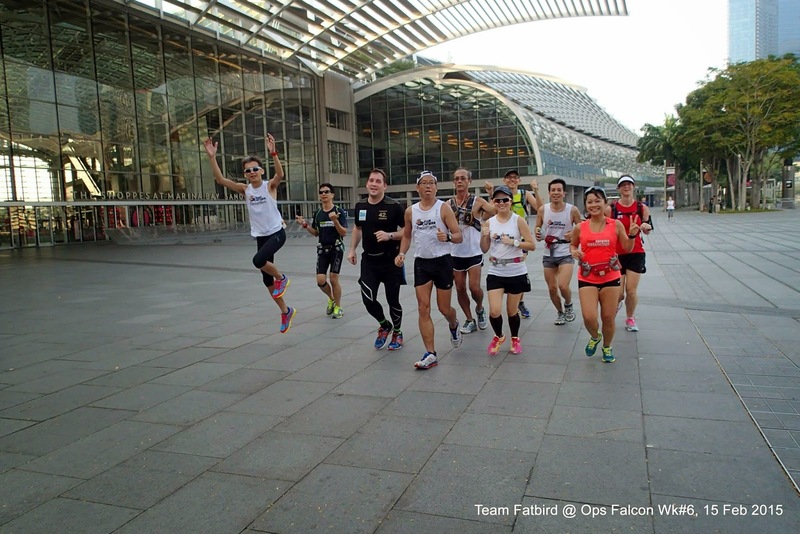 With the base built up in the first 6 weeks, it was evident that the Falcons were a lot stronger and more experienced with maintaining their target training paces, especially with the help of the ever-dependable Falcon Trainers & Pacers. 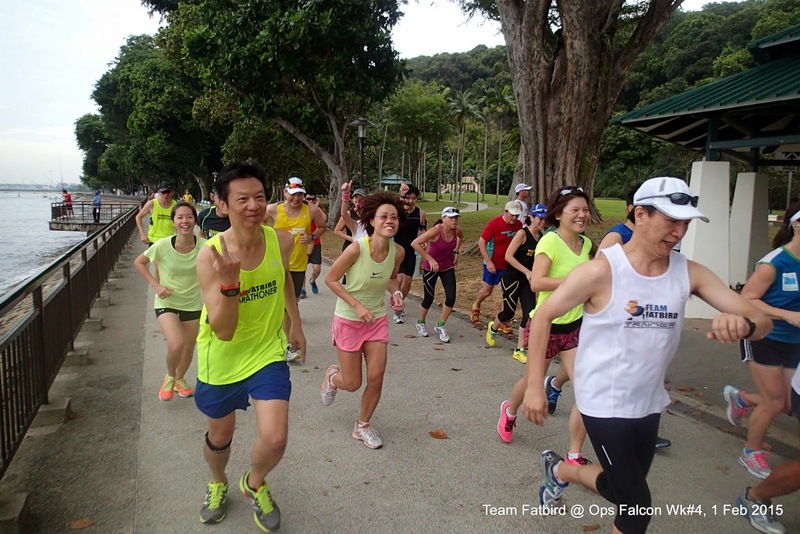 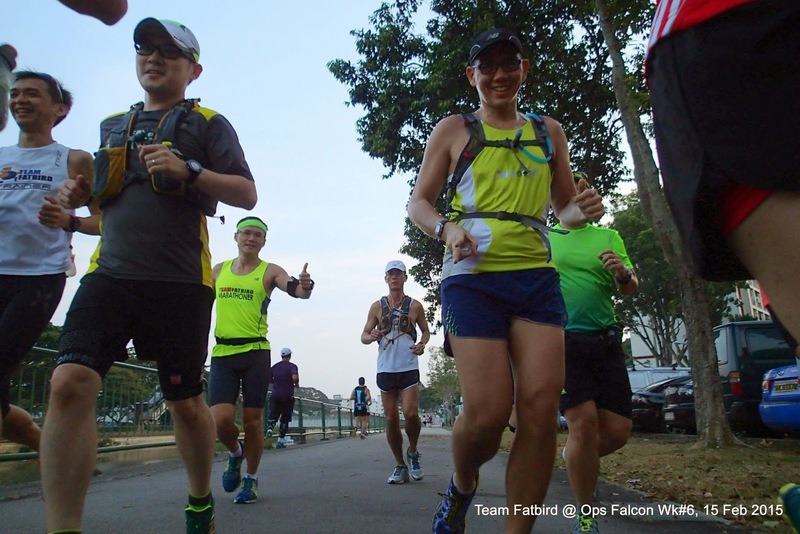 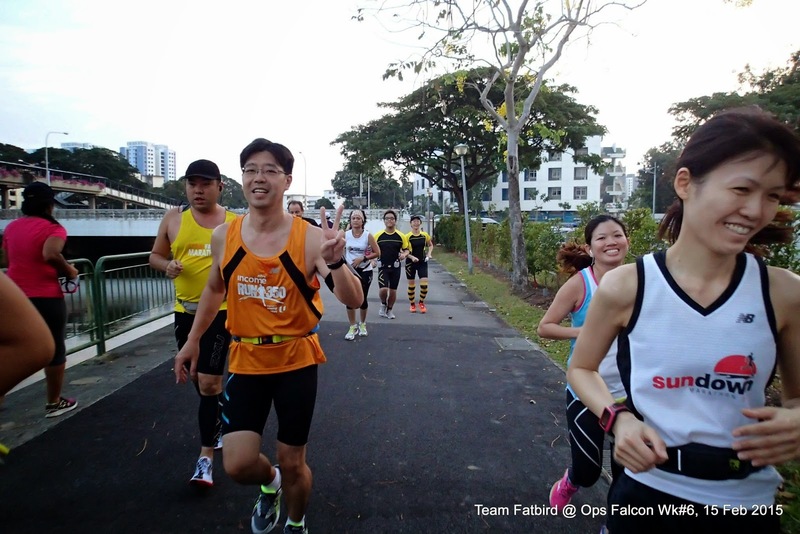 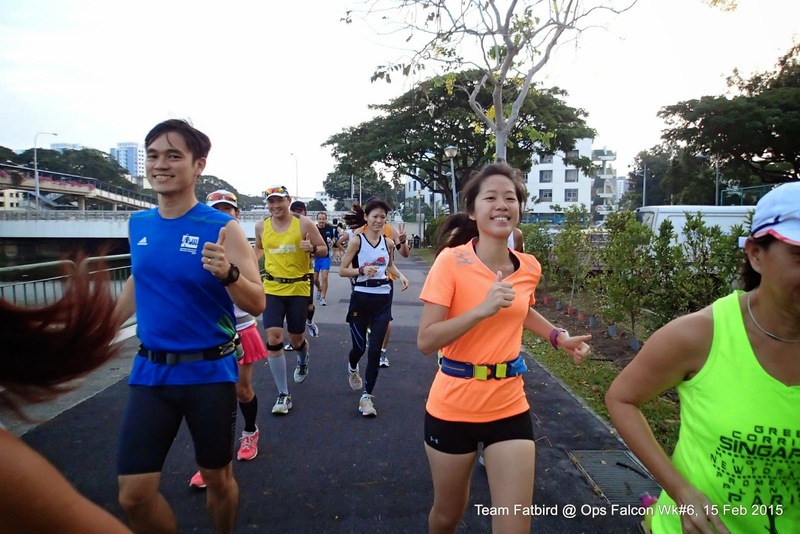 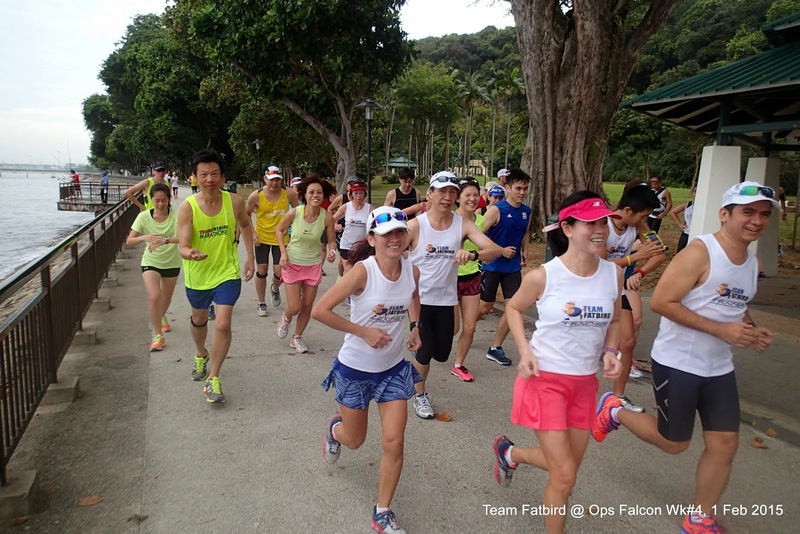 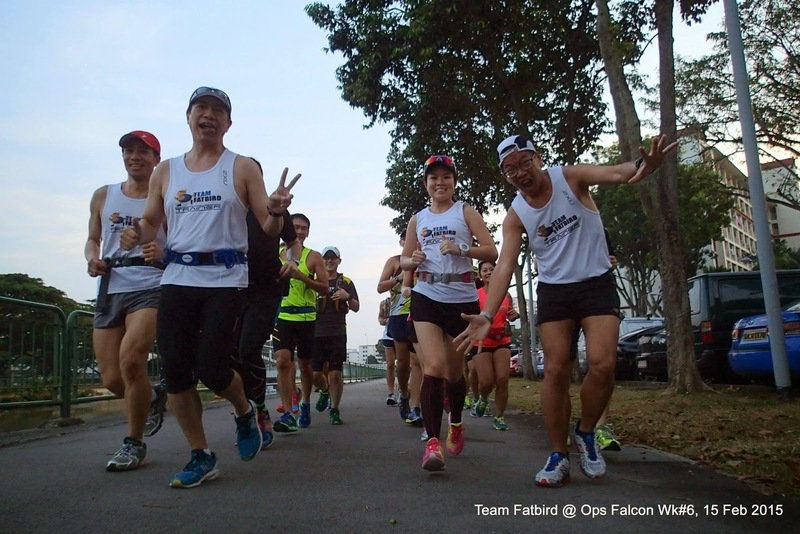 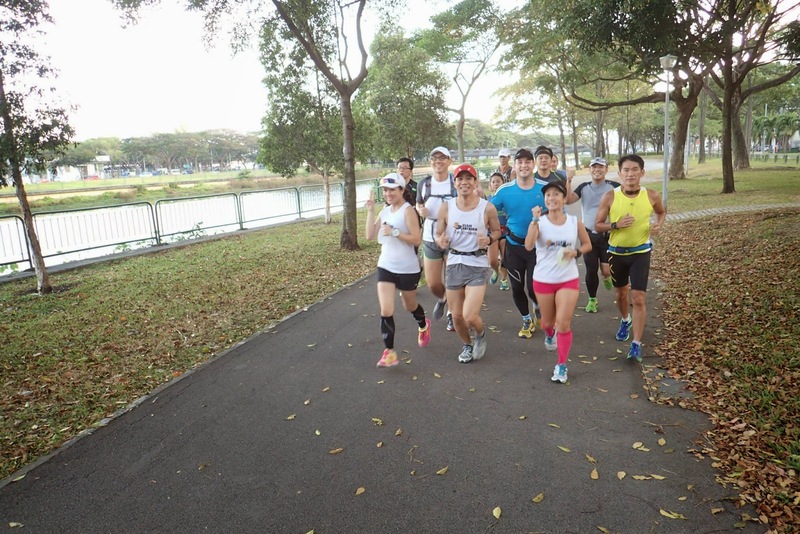 The first part of the menu was a 6km at Marathon Pace along the scenic Riverside till the ECP Bridge, each led by their respective group Pacers. 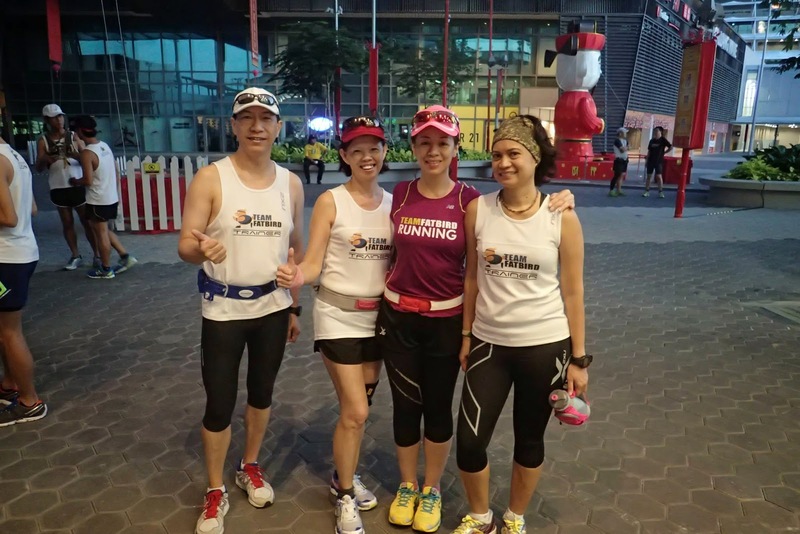 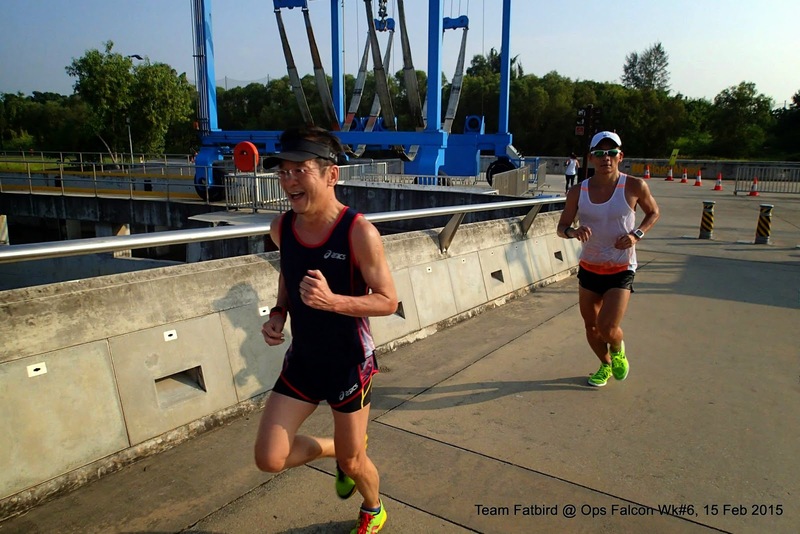 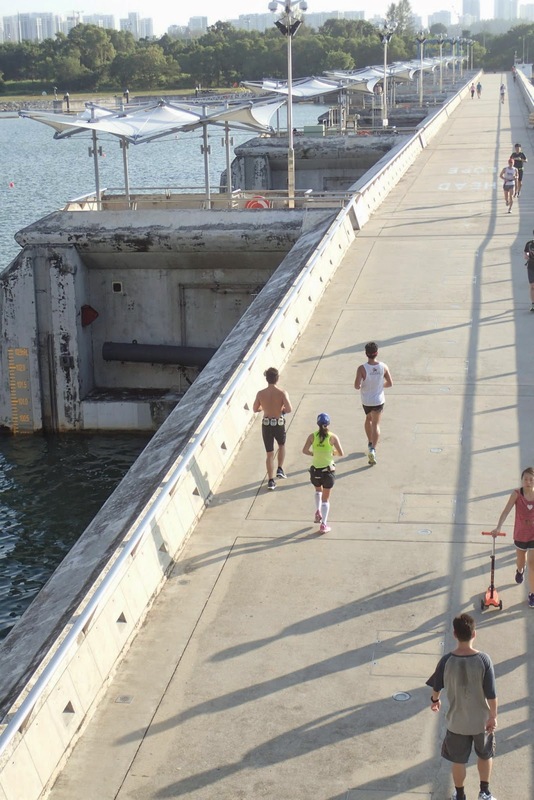 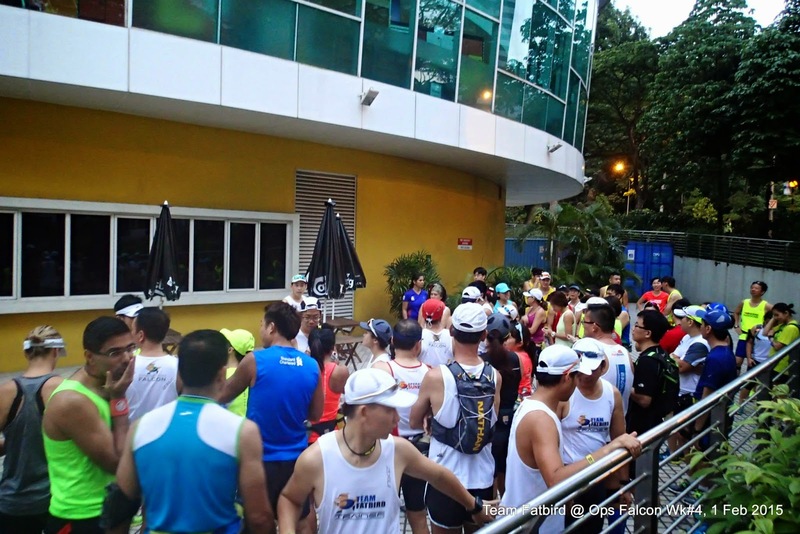 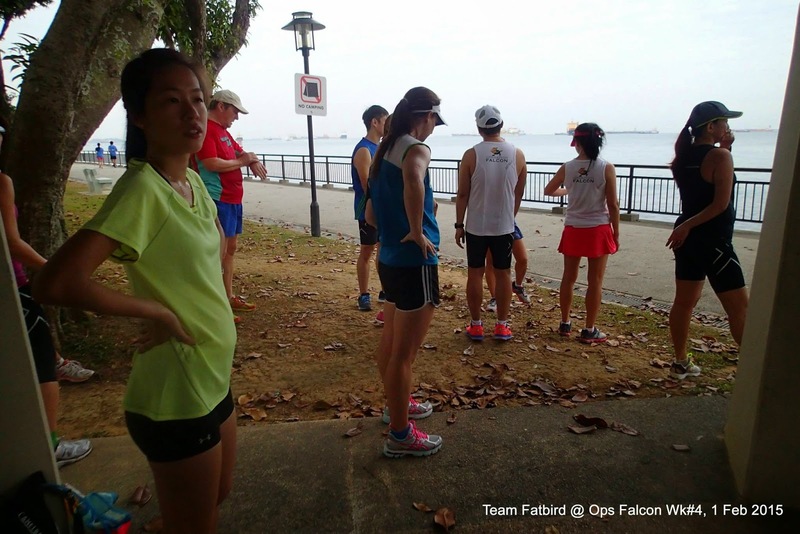 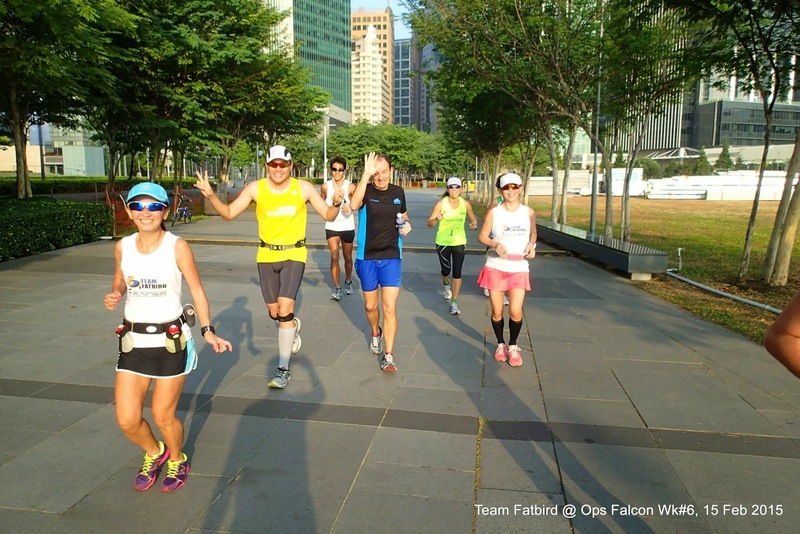 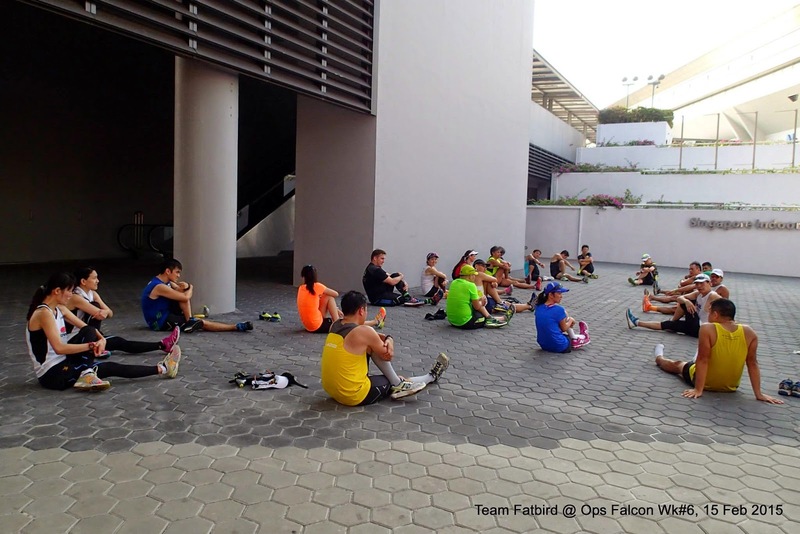 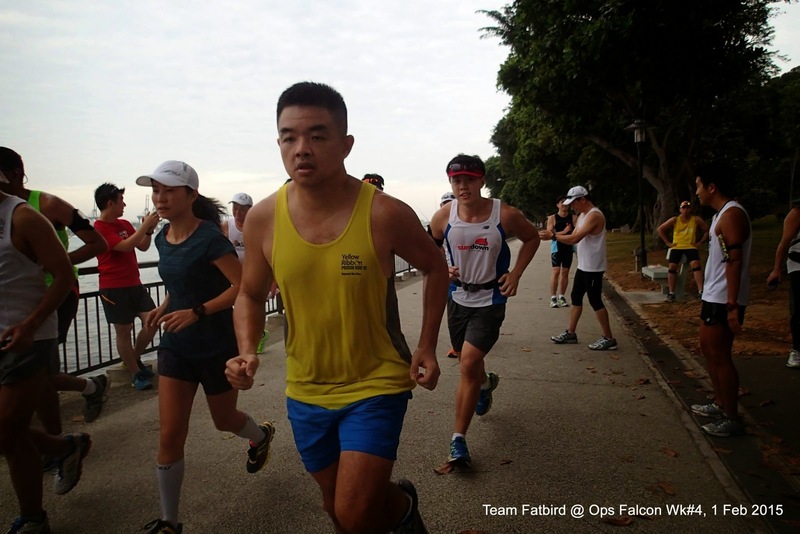 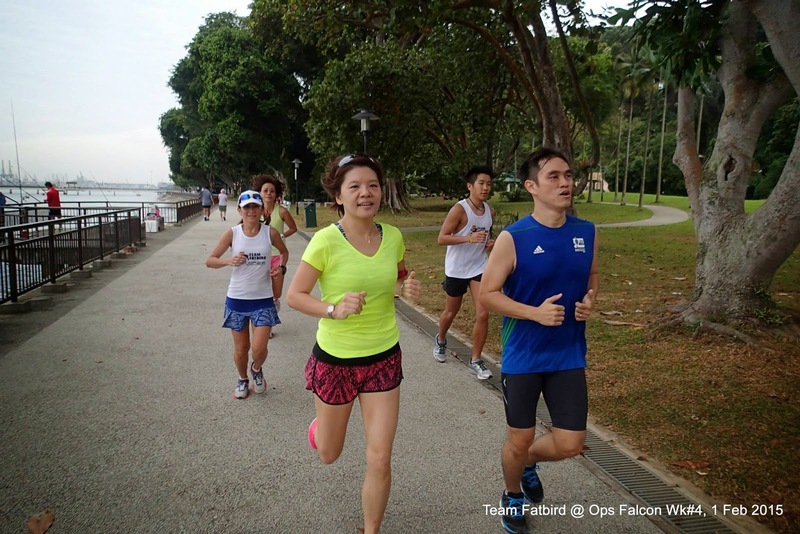 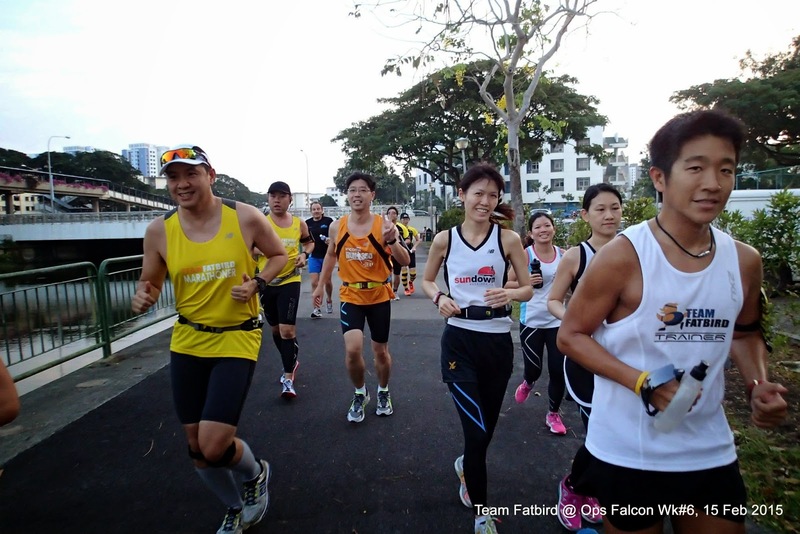 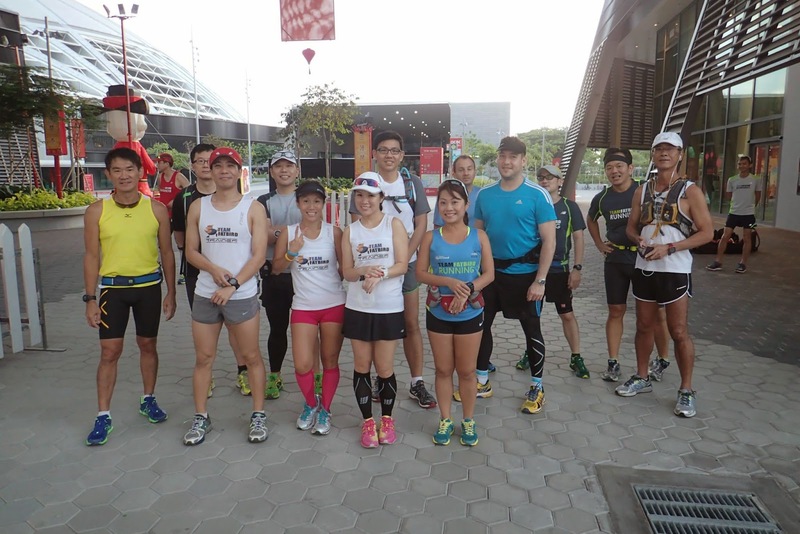 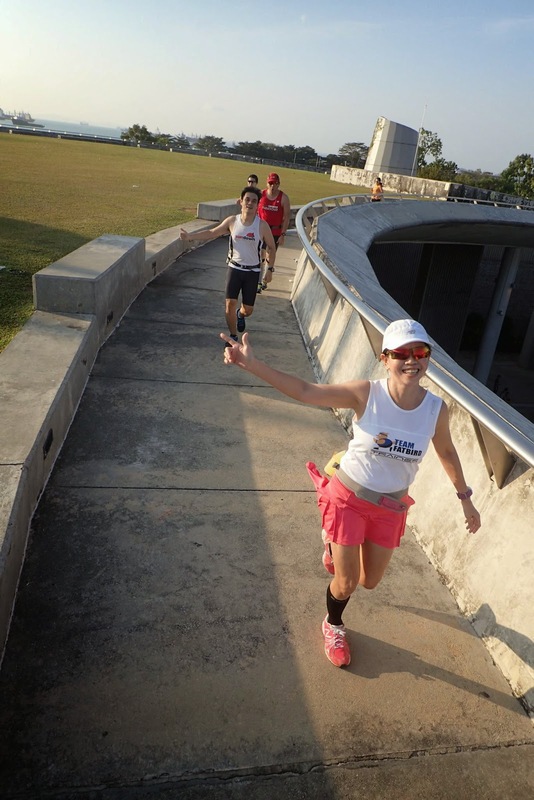 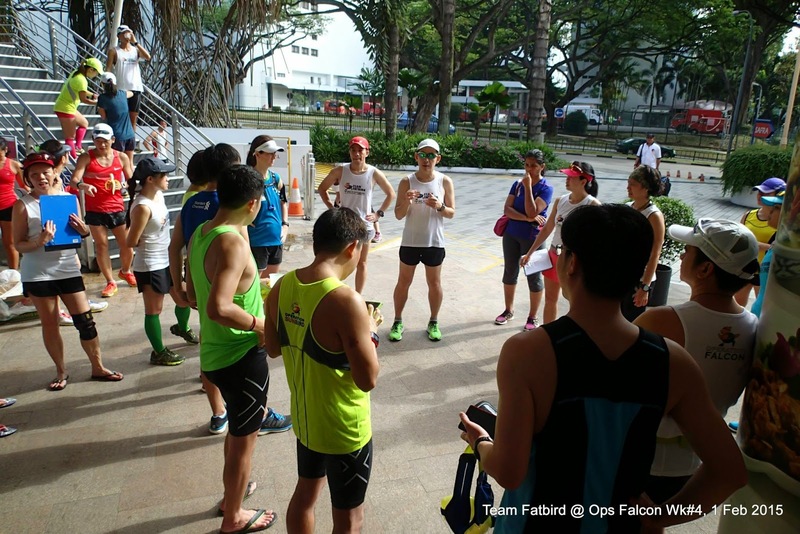 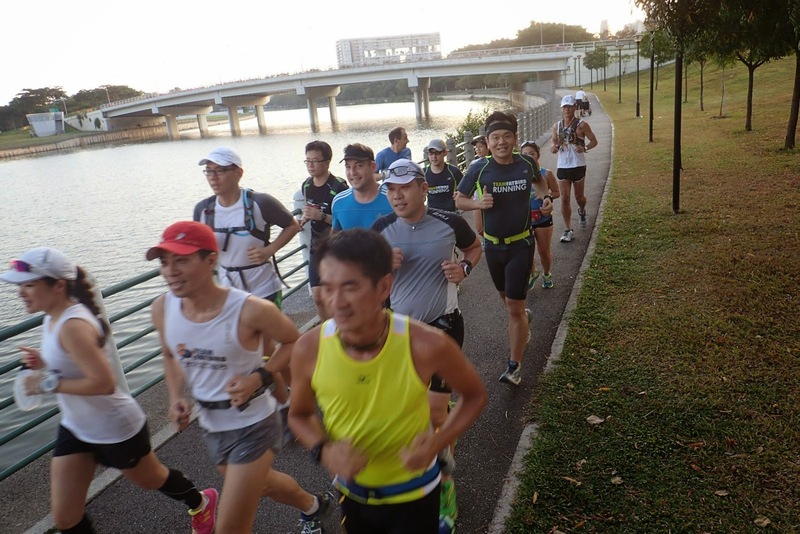 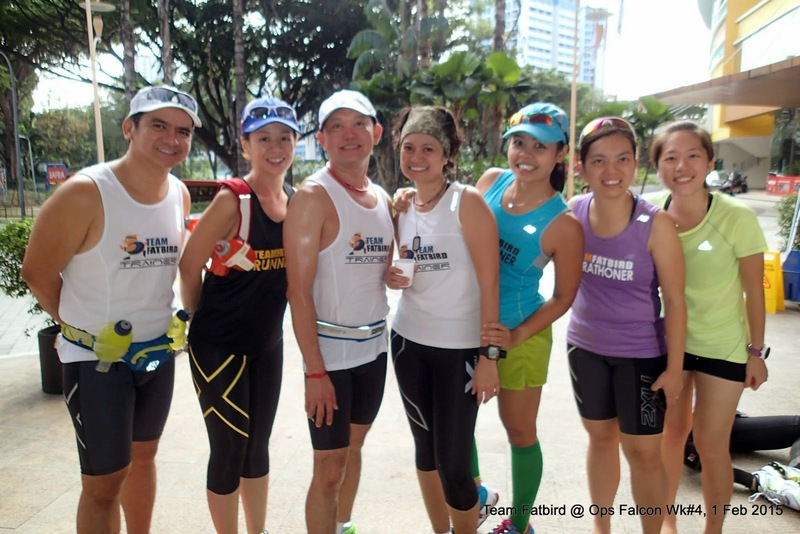 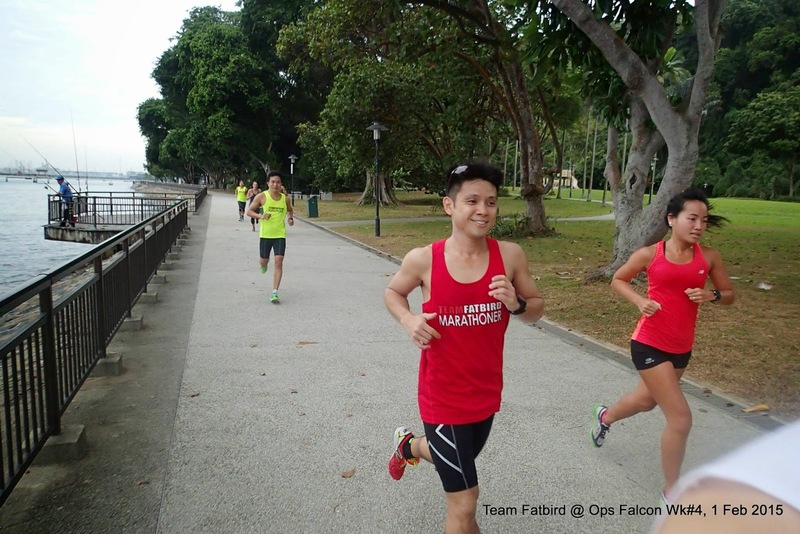 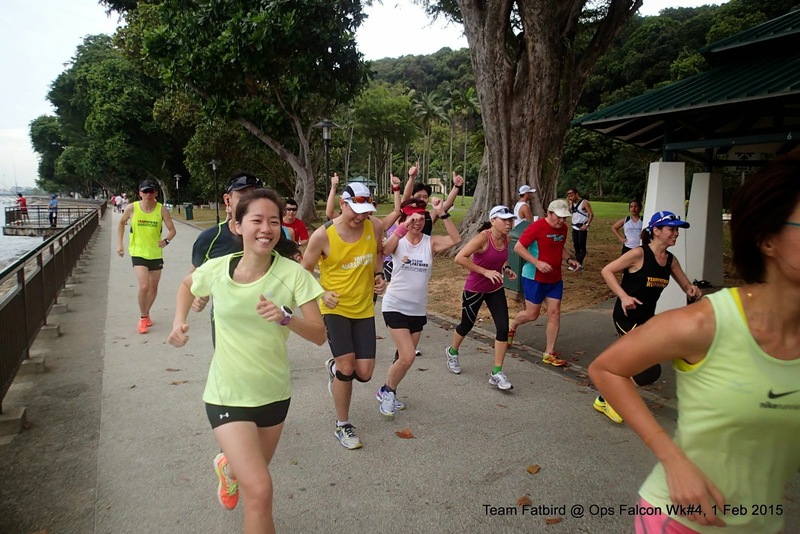 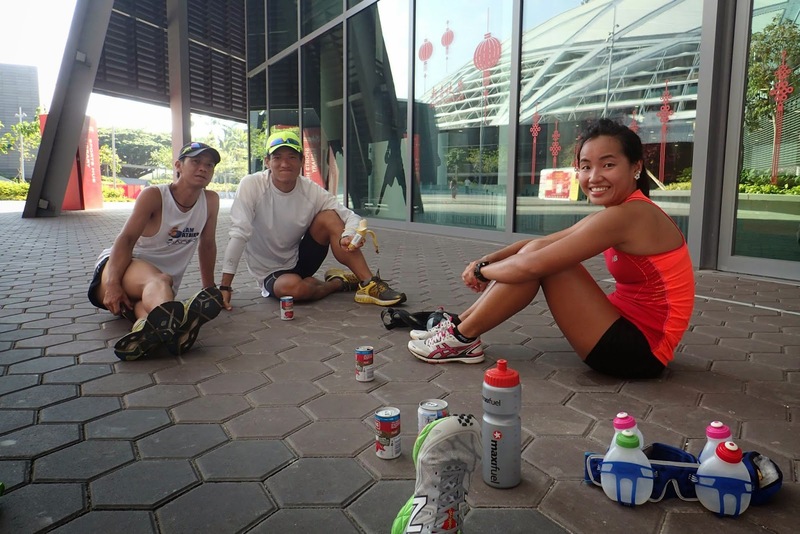 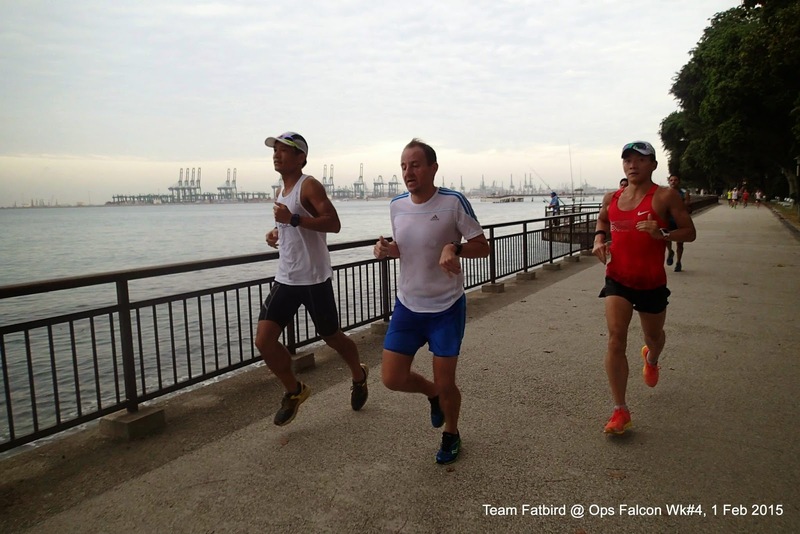 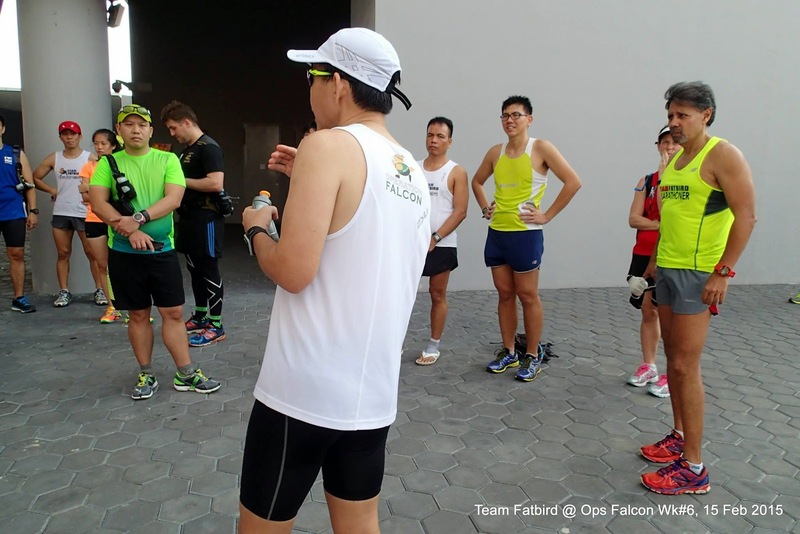 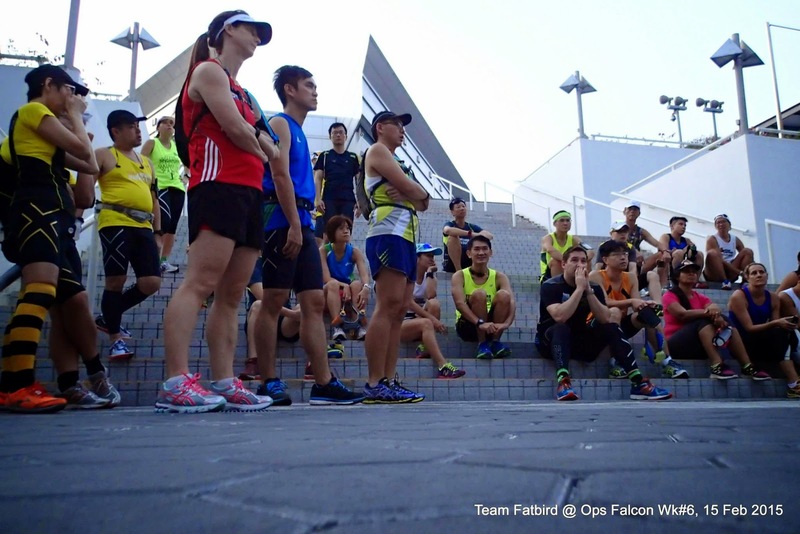 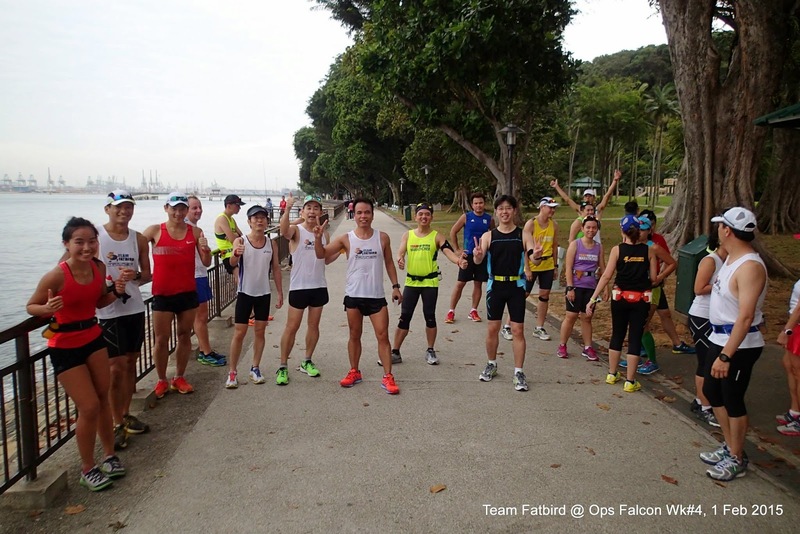 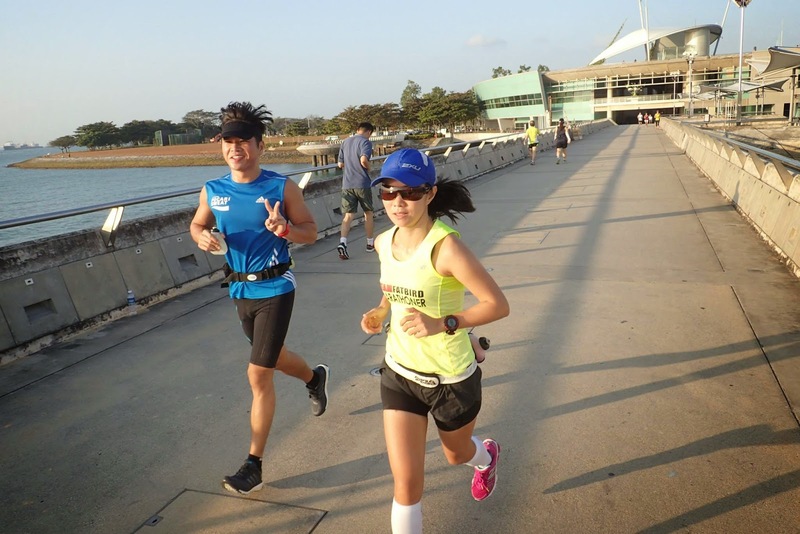 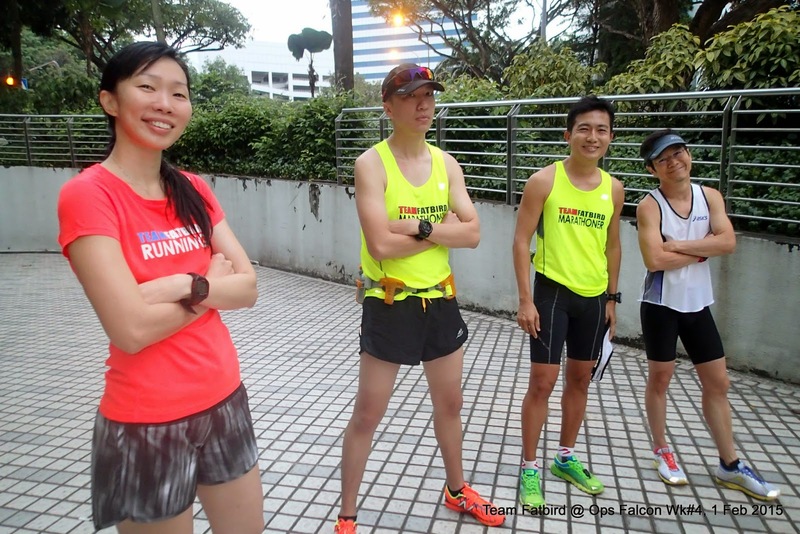 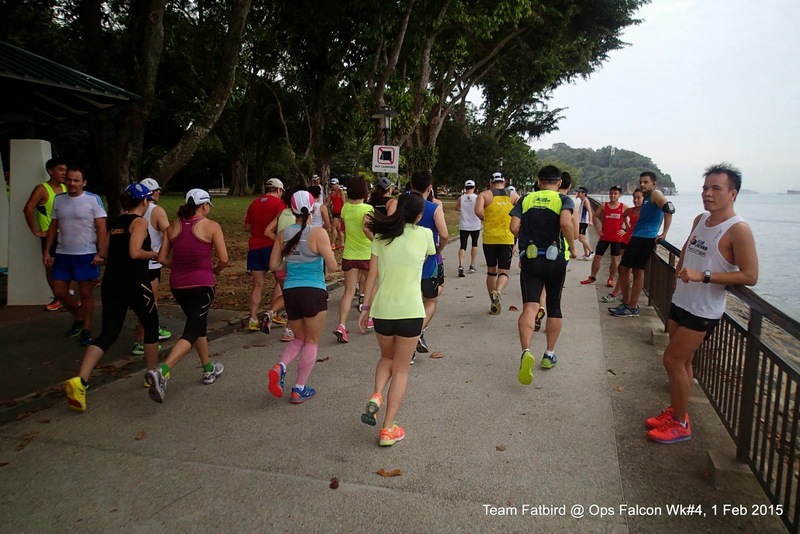 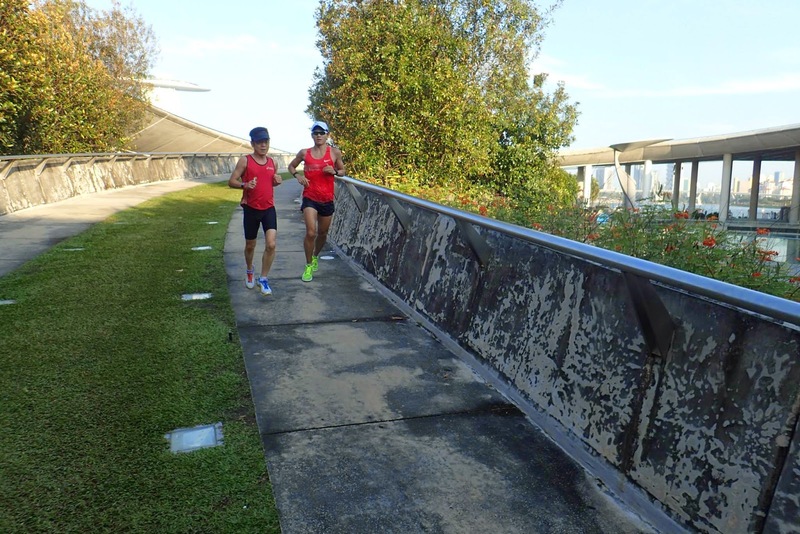 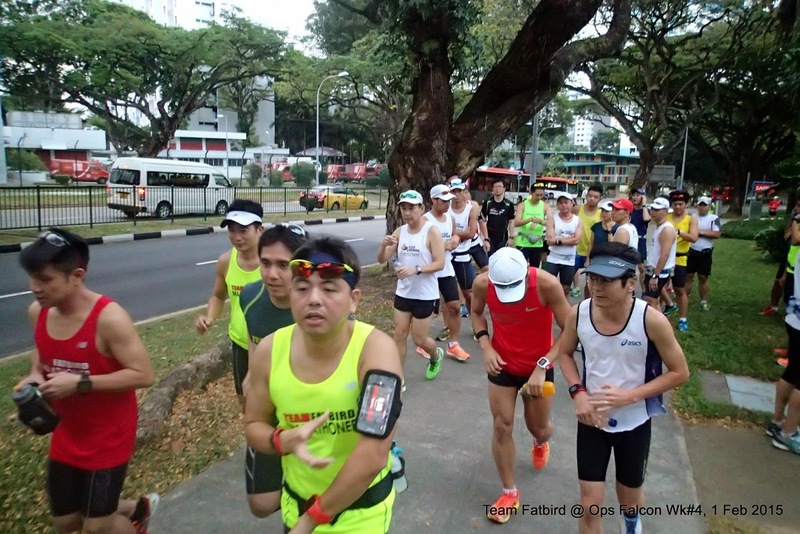 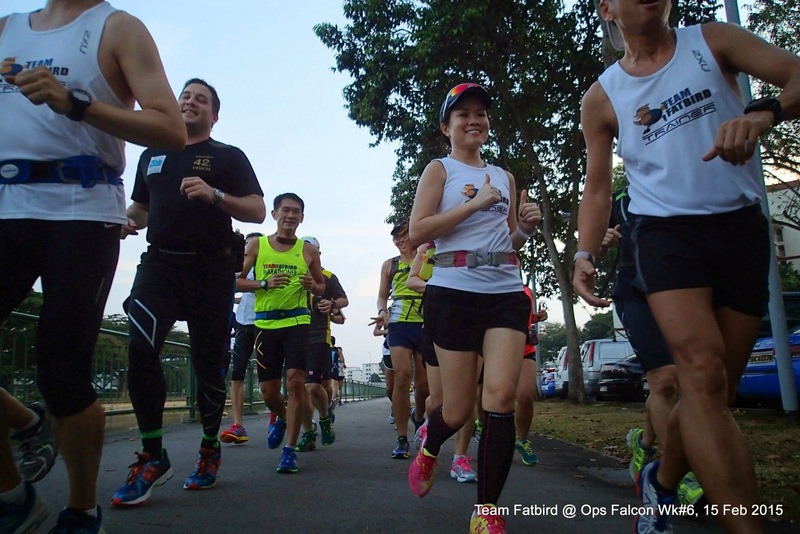 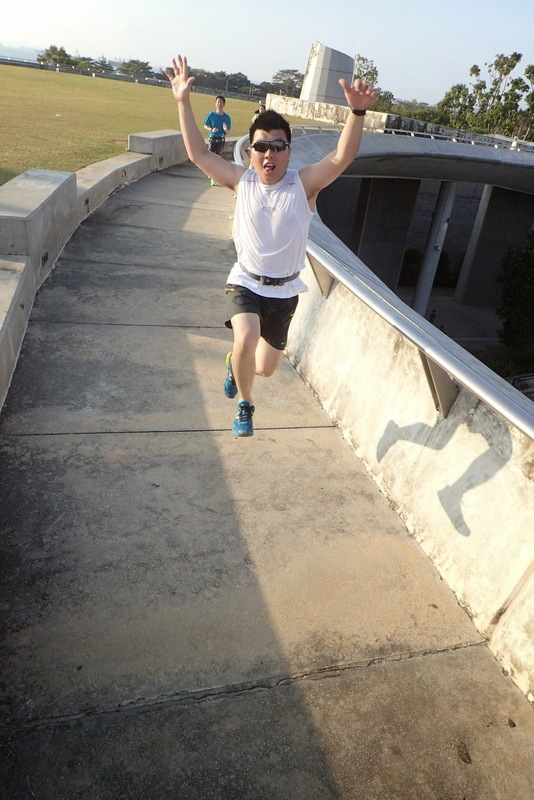 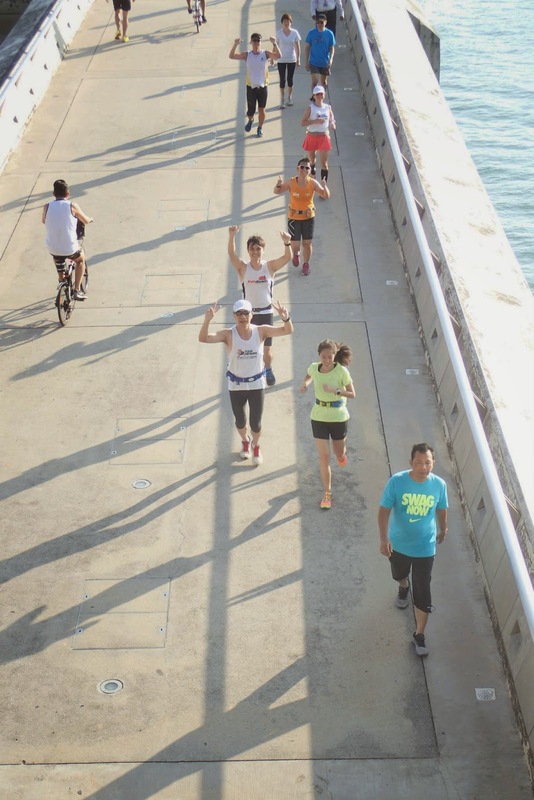 The main course of the MP-10 intervals was served from the ECP Bridge looping back at the Marina Barrage slope for that ascending challenge before finishing back at the ECP Bridge for that quick rest for the next repeat. 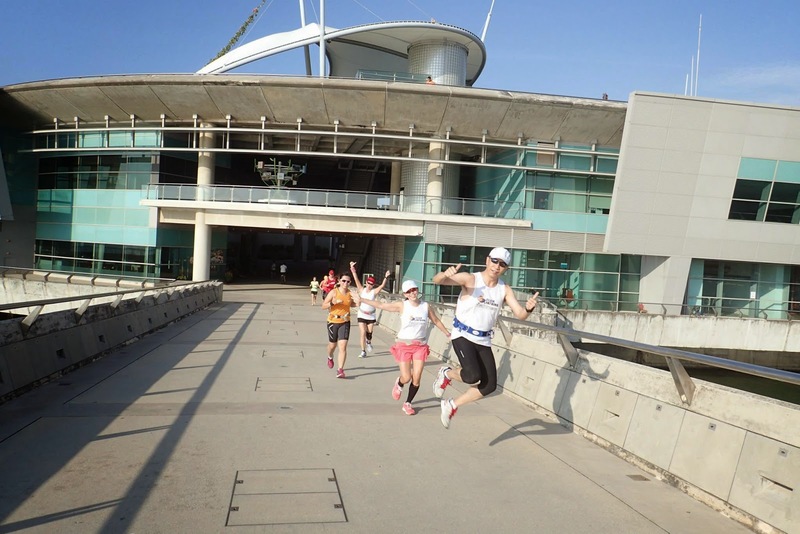 Before the first lap was even midway through, the sun were beating down forcefully on the runners, creating an additional heat challenge which threatened the pace of the trainees. 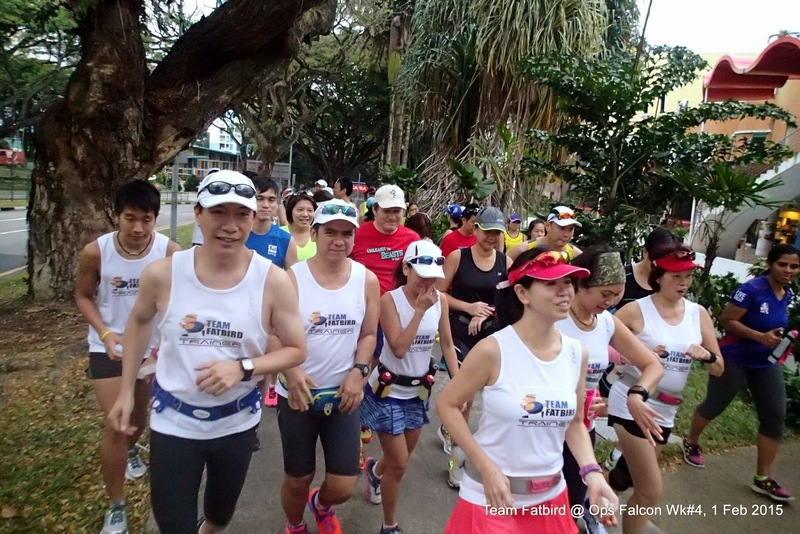 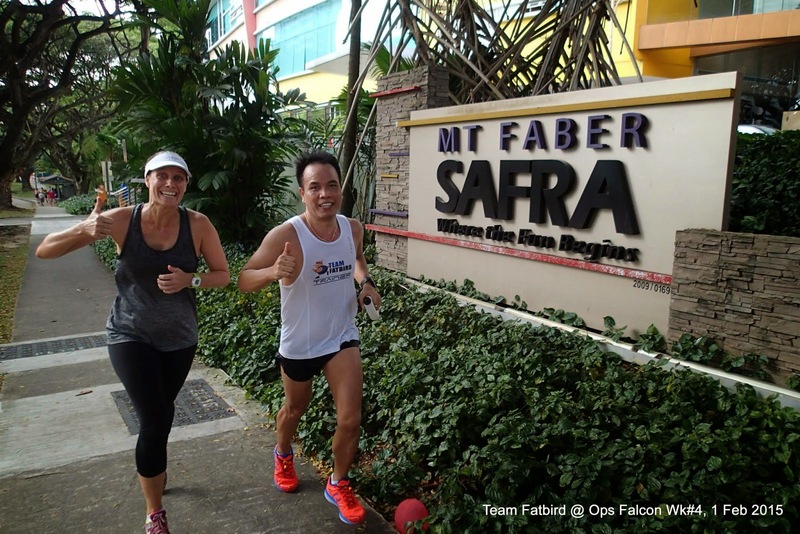 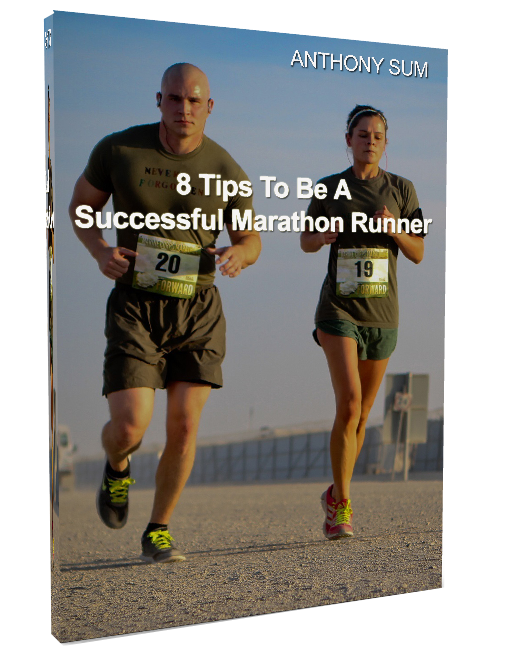 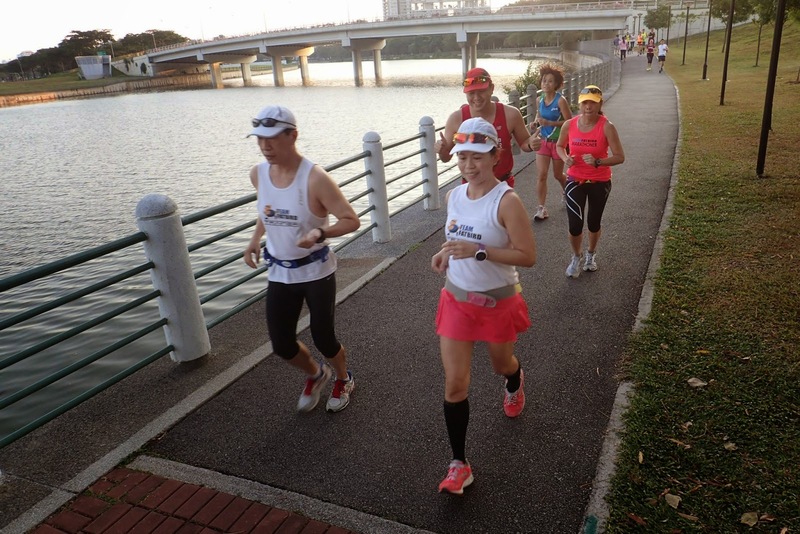 The Half Marathoners did well to sustain the pace in spite of the heat, which will set the tone for their smooth progression to Optimal Pace training. 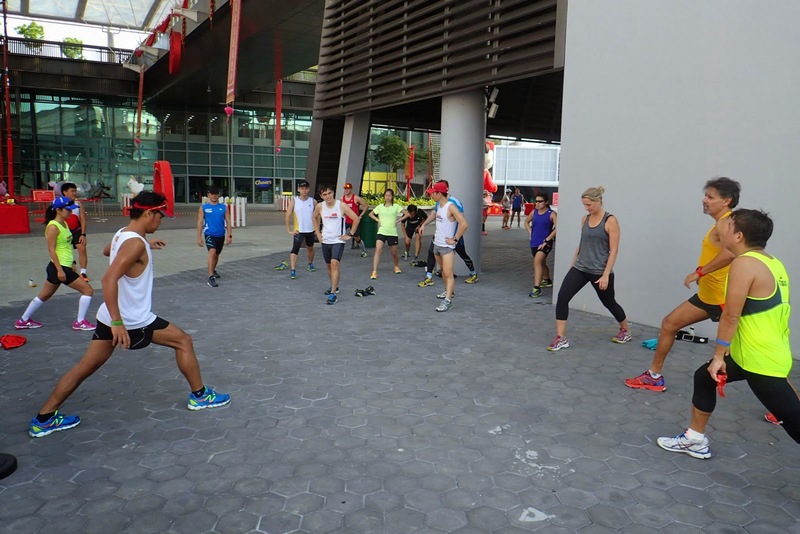 The Full Marathoners did find the intervals along that sun-baked stretch mentally draining and physically sapping, with a number of groups eventually doing 3 laps. 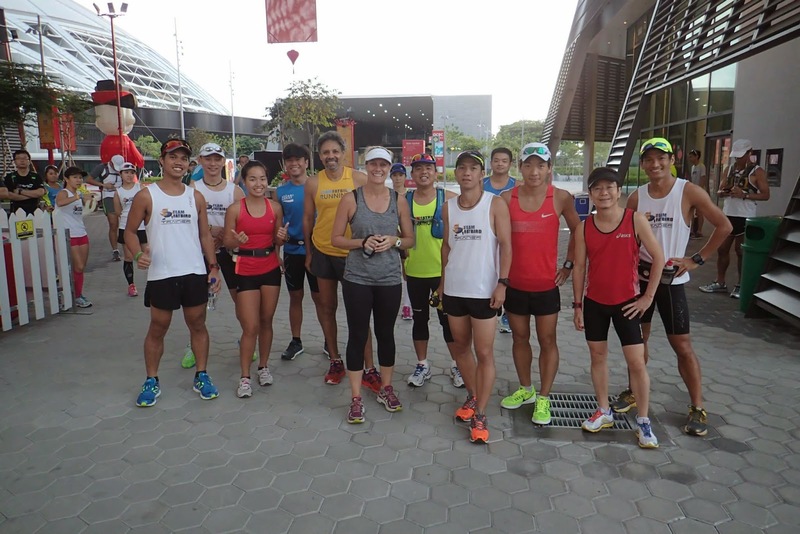 Group 1 which comprise of the more experienced trainees did well to complete their task of 4 laps in spite of the tough challenge. 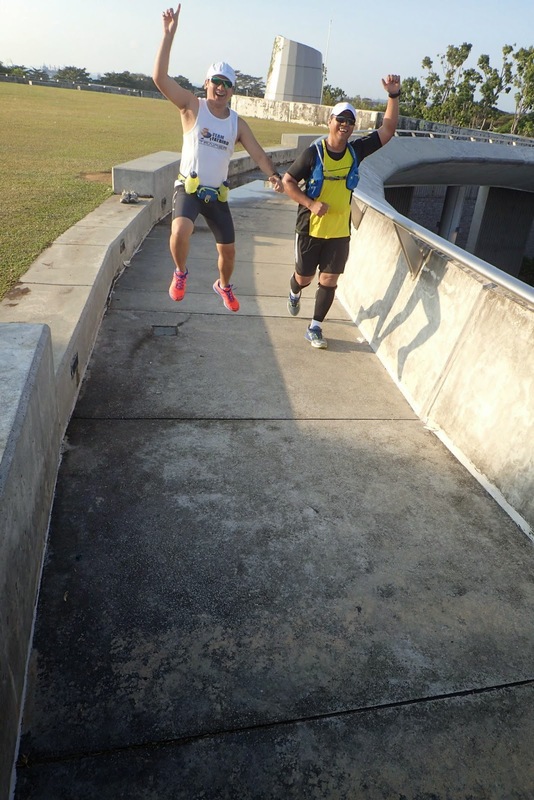 Although the distance was a little short of the originally planned, the level of difficulty was more than ample to compensate for that minor shortfall in distance. 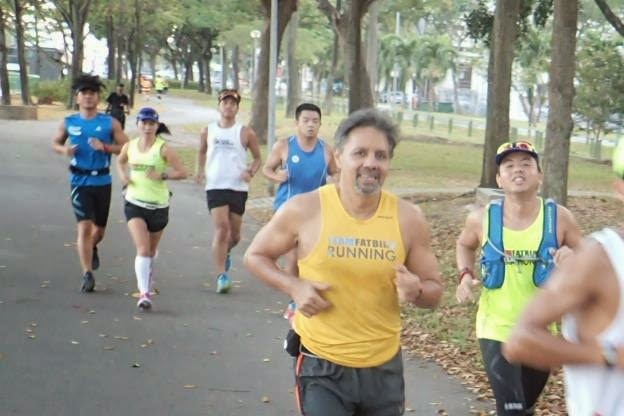 The 2.5km run back to Sports Hub felt a lot better as we reverted to Marathon Pace, plus the sense of satisfaction was heightened with the knowledge that the hard part of the workout was done and dusted. 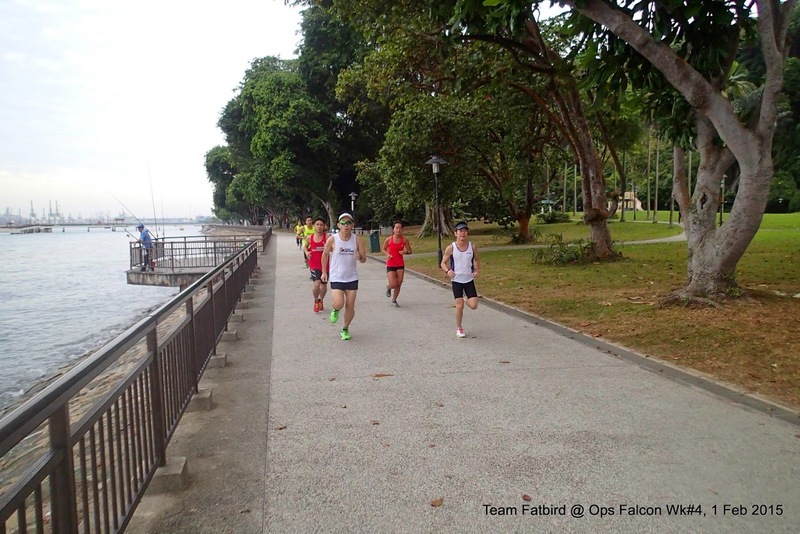 With yet another challenging workout under their belts, the Falcons mental and physical strength endurance has moved up a notch, which will prepare them well for their upcoming hills challenge in Week #8. 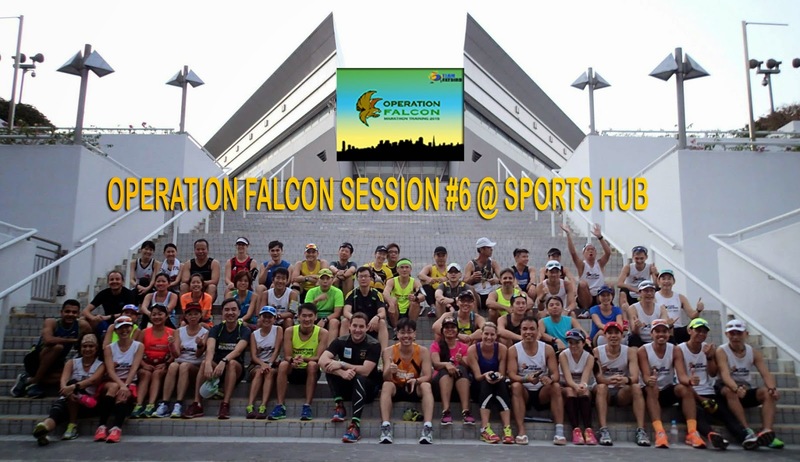 The redcon status of the flock remains good and we are happy to know that the Falcons were able to sustain the workout variations being put to them with very positive attitudes and strong commitment for performance. 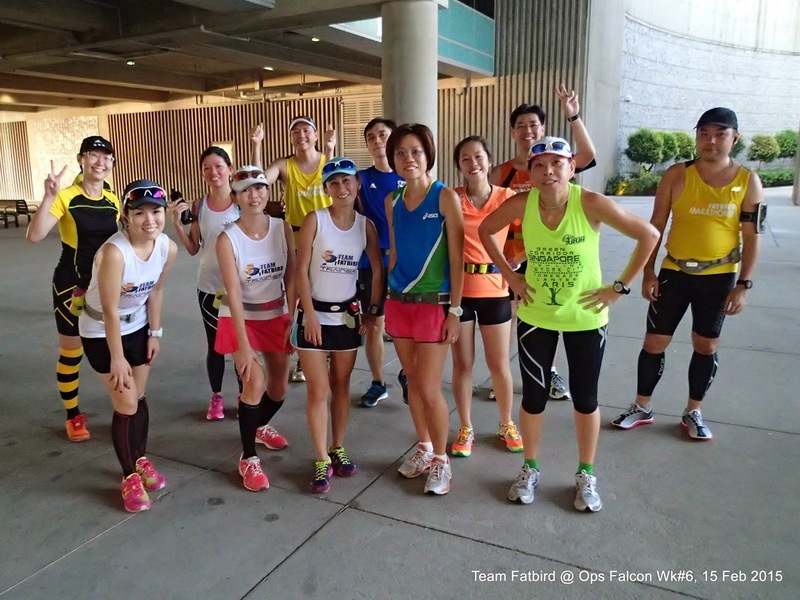 On a related note, a huge shout out to the Falcons (Justin Too, Ratty Liz) who did so very well with PBs at the Tokyo Marathon this morning. 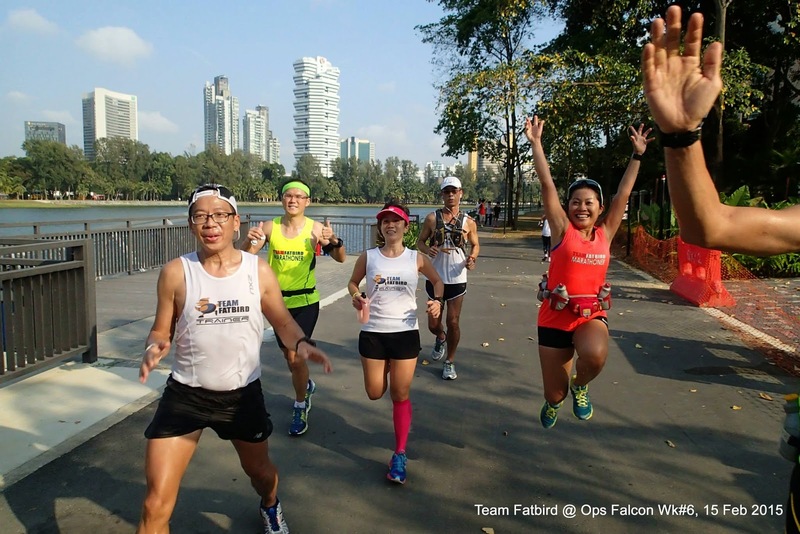 The Falcons Are Flying High!